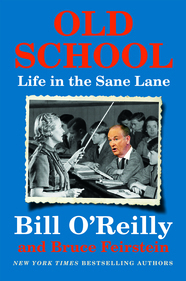 After graduating from Marist College in Poughkeepsie, New York, Bill O’Reilly began his career as a high school teacher in Miami, Florida. Soon later, he attended Boston University’s Broadcast Journalism’s program to obtain his Master’s Degree. 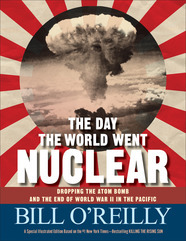 In Scranton, Pennsylvania, O’Reilly began television broadcasting at WNEP-TV before moving to WFAA-TV in Dallas, KMGH-TV in Denver, KATU-TV in Portland, WFSB-TV in Hartford, and WCVB-TV in Boston. By 1980, O’Reilly moved to New York City to anchor his own program for WCBS-TV on top of acting as a correspondent to CBS News. A journalist for more than 25 years, Bill O’Reilly rose to the top of his profession. The O’Reilly Factor on the Fox News Channel was one of the dominating television shows. The program was among the highest rated cable news show for more than 100 consecutive weeks, making itself available for viewing in dozens of foreign countries. Although the O’Reilly Factor is no longer airing, Bill O’Reilly left his mark as one of the top television broadcasters and journalists. Bill O’Reilly wrote a syndicated newspaper column which is carried by hundreds of papers across the USA including The New York Daily News and the Philadelphia Inquirer. In 2002, Bill O’Reilly brought his “no spin” concept to radio. The Radio Factor was heard on more than 400 stations nationwide, making it one of the most profitable syndicated radio programs in history. 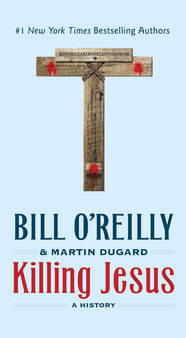 Today, O’Reilly continues to blog on No Spin News reporting on the current political climate. 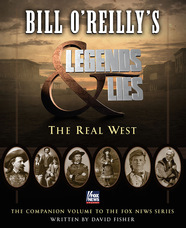 In addition, Bill O’Reilly is the author to several series including the Killing Series, Legends and Lies Volumes, and children’s books. The O’Reilly Factor, The No Spin Zone, and Who’s Looking Out for You have sold millions of copies. 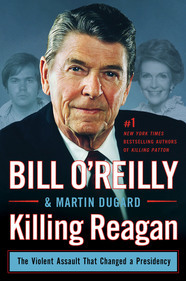 Within the Killing Series, O’Reilly released Killing the S.S. in October 2018, making it the eighth book in the series. Bill O’Reilly continues to write his No Spin News blog and weekly column, discussing current events in today’s political climate. General Patton died under mysterious circumstances in the months following the end of World War II. For almost seventy years, there has been suspicion that his death was not an accident--and may very well have been an act of assassination. 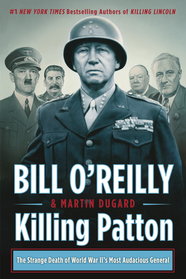 Killing Patton takes readers inside the final year of the war and recounts the events surrounding Patton's tragic demise, naming the many powerful people who wanted him dead. Nearly two thousand years after this beloved and controversial young revolutionary was brutally killed by Roman soldiers, more than 2.2 billion human beings not only attempt to follow Jesus of Nazareth’s teachings but believe he is God. In this riveting account of Jesus’s life and times, Julius Caesar, Cleopatra, Caesar Augustus, Herod the Great, Pontius Pilate, and John the Baptist are among the legendary figures who play a part in Jesus’s story. Killing Jesus takes readers inside this most volatile epoch and the seismic political and historical events that made Jesus’s death inevitable—and changed the world forever. 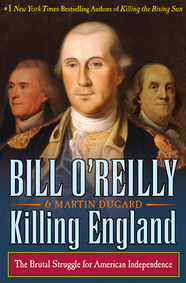 Told through the eyes of George Washington, Benjamin Franklin, Thomas Jefferson, and Great Britain’s King George III, Killing England chronicles the path to independence in gripping detail, taking the reader from the battlefields of America to the royal courts of Europe. Powells Autumn 1944. World War II is nearly over in Europe, but in the Pacific, American soldiers face an enemy who will not surrender, despite a massive and mounting death toll. Meanwhile, in Los Alamos, New Mexico, Dr. J. Robert Oppenheimer and his team of scientists are preparing to test the deadliest weapon known to mankind. Newly inaugurated president Harry Truman faces the most important political decision in history: whether to use that weapon. You have probably heard the term Old School, but what you might not know is that there is a concentrated effort to tear that school down. It’s a values thing. The anti–Old School forces believe the traditional way of looking at life is oppressive. Not inclusive. The Old School way may harbor microaggressions. Therefore, Old School philosophy must be diminished. 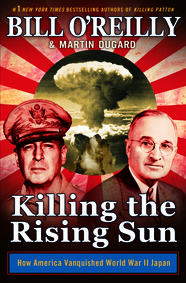 Killing the Rising Sun takes readers to the bloody tropical-island battlefields of Peleliu and Iwo Jima and to the embattled Philippines, where General Douglas MacArthur has made a triumphant return and is plotting a full-scale invasion of Japan. Bill O’Reilly reacts to the Central American immigrant caravan on RawStory. 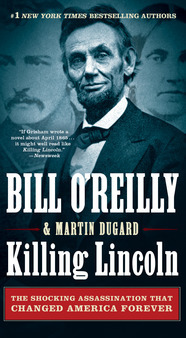 Bill O’Reilly’s latest book Killing the S.S. was reviewed by USAToday. Read Bill O’Reilly’s weekly column. 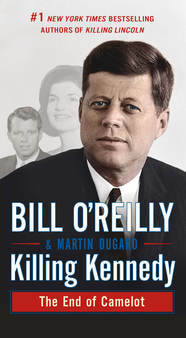 "A quick-fire, easy-to-read account of the Kennedy years, with some salacious details to spice it up." 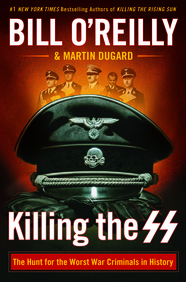 "For the O’Reilly faithful, "Killing the SS: The Hunt for the Worst War Criminals in History" (Henry Holt & Co., 304 pp., ★★½ out of four), will, no doubt, be a welcome addition to the best-selling series ("Killing Kennedy," "Killing Lincoln," et al)."